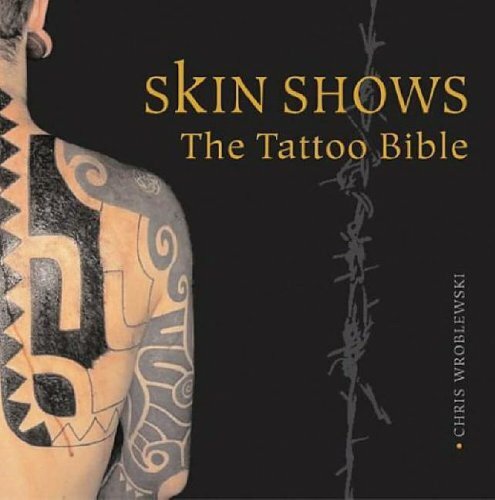 'Skin Shows: The Tattoo Bible' is a rich and provocative pictorial survey of an ancient art form that, until recently, remained hidden in our society's cultural underground. Tracing a global journey through the history and culture of tattoo art, Chris Wroblewski's new book is a stunning visual document. 'Skin Shows: The Tattoo Bible' is a rich and provocative pictorial survey of an ancient art form that, until recently, remained hidden in our society's cultural underground. Tracing a global journey through the history and culture of tattoo art, Chris Wroblewski's new book is a stunning visual document. Above all, it is a book about people and personalitieshere, skinheads, circus freaks, Buddhist monks, tattoo fetishists, and slightly more ordinary individuals all reveal their obsessions with and dedication to the ritual of ink and pain. Chris Wroblewski is considered to be the foremost photographer of tattoo art. He is the author of more than 15 books on the subject, including Pigments of Imagination.